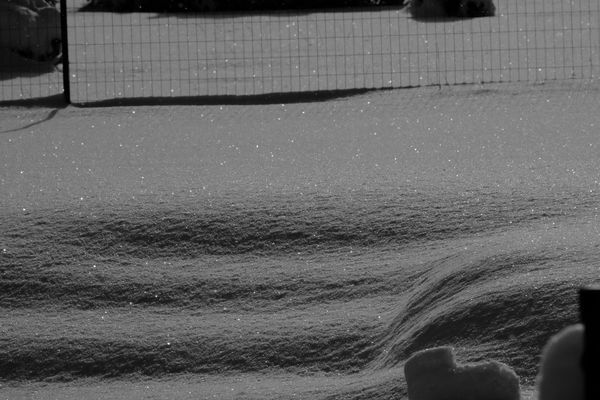 I have been trying to get a decent picture of sparkles on snow for two years now. Just because I like them. Lately it seems I do better with high shutter speed and small aperture. Not sure why. And the snow needs to be dark to see them. The first was taken with my 300mm Takumar manual lens - ISO 400, ss 1/4000, f ?. This lens need 18 feet to get in focus so is probably not the best choice. The second was at 200mm on my 55-200 lens, ISO 1250, ss 1/2000, f22. The second was dark blue and i switched it to b&w. 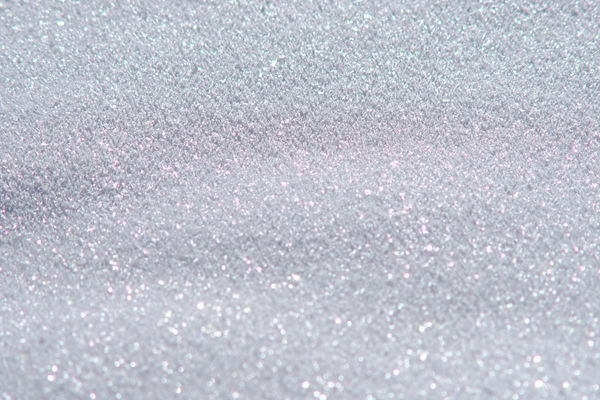 Is there any way to get the sparkles to show on white or very light gray snow? As I see them with my eyes? Or is this a lost cause and I should be content with what I've got? Camera is Fuji X-H1. Good work! As a skier I see this all the time, but capturing it is a problem because the sun angle that creates the sparkles is directly into your lens. My experience (and a quick Google search) says same as Mike: it's mostly about the angle of the sun. Definitely use a small aperture for depth of field; however, shutter speed has nothing to do with it unless there is a motion issue. Your experience with "dark = better" may just be related to exposure. Can you repost #2 in color, as shot? Thanks. I had hoped I could do something on my befunky online app, but it didn't work out Perhaps someone with better skill and using PS can separate out the sparkles, while increasing exposure. I've seen it and tried to capture it too. very hard to do. #1 doesn't work. #2 & 3 are better but it's still not quite there don't you think? I don't have any advice. We don't get snow here so I have next to no experience. incident light. But as snow is a very irregular surface, you're just going to have to experiment. You want a patch of snow in direct sunlight, but with no indirect (reflected lighting). everywhere--when you find the best angle, it will work for the whole patch. from the ice or a water film on the surface of the ice, or both. but rotating it until the reflected light (sparkles) are as bright as possible. The refractive index of ice is 1.13, and that of air is of course 1. Brewsters angle for ice/air = arc tan (1 / 1.31) = 52.6 degrees. For water/air its arc tan (1 / 1.33) = 36.9 degrees. If you wanted a simpler case to experiment with, you could try an ice cube. try temperatures, angles, and rotating the polarizer.